Introducing baker and amateur sleuth Corinna Chapman ... mysteries filled with gastronomical delights, humour and unexpected twists from the bestselling author of the Phyrne Fisher mysteries. Baking is an alchemical process for Corinna Chapman. At four am she starts work at Earthly Delights, her bakery in Calico Alley. But one morning Corinna receives a threatening note saying 'The wages of sin is death' and finds a syringe in her cat's paw. A blue-faced junkie has collapsed in the dark alley and a mysterious man with beautiful eyes appears with a plan for Corinna and her bread. Then it is Goths, dead drug addicts, witchcraft, a homeless boy and a missing girl and it seems she will never get those muffins cooked in time. 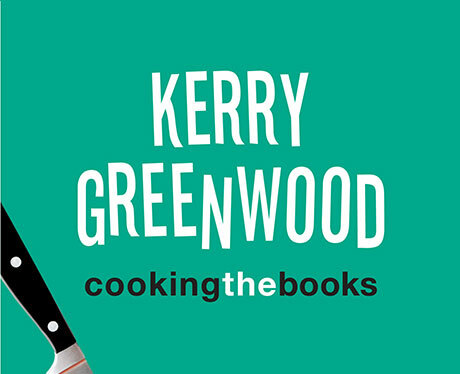 With flair, chutzpah and a talent for kneading, Corinna Chapman will find out who exactly is threatening her life and bake some beautiful bread. No one has less interest in mysteries than Corinna Chapman, who has bread to bake, but they seem to be arising spontaneously in the vicinity of her bakery, Earthly Delights. Between the mouth-watering distractions of loaves and muffins, of Jason her apprentice and Horatio the cat, she's keeping an eye on the door as she waits for the exciting Daniel, her recently acquired lover, to walk back into her life. After a week of no communication Daniel finally returns, bruised and battered from a run-in with a so-called messiah. But disturbing things are also happening close to home. Juliette Lefebvre, the owner of Heavenly Pleasures and maker of the most gorgeous chocolates in town, is distraught. Someone is spiking her very expensive chocolates. Is it an elaborate and horrible joke, or is it a warning that worse may yet happen? If there's one thing that Corinna Chapman, baker extraordinaire and proprietor of the Earthly Delights Bakery, can't abide, it's people not eating well - particularly when there are delights like her very own, just-baked, freshly buttered sourdough bread to enjoy. So when a strange cult which denies the flesh and eats only famine bread turns up, along with a body which is found in a park, dead of malnutrition, Corinna is very disturbed indeed. But she doesn't only have that to contend with: her hippie mother, Starshine, has turned up out of the blue, hysterical that Sunlight, Corinna's father, has absconded to Melbourne with all their money and a desire for a new young lover; someone is poisoning people with weight loss herbal teas; and then there are odd things happening at the nearby Cafe Vlad Tepes, which attracts a very strange clientele indeed. Altogether, it's a delicious recipe for murder, mayhem and mystery. Corinna Chapman, owner of Earthly Delights, detests Christmas. The shoppers are frantic and the heat oppressive. Neither of which this perfect size 20 with a genius for baking breads finds congenial. She's dreaming of quiet, air-conditioned comfort but instead finds herself dealing with a rose-loving donkey named Serena, a maniacal mother with staring eyes, a distracted assistant searching for the perfect muffin recipe, her friend the fearless witch Meroe, and the luscious Daniel with whom she'd like to spend a lot more time. But Daniel is on the hunt to find two young runaways, Brigid and Manny. This simple Romeo and Juliet romance though is not as straightforward as it seems and they will go a long way to ensure they're not found. When Corinna and Daniel find that Brigid is on the streets, heavily pregnant and in danger, the stakes rise. With the help of a troupe of free-spirited freegans, some very clever internet hackers and a bunch of vegans, Corinna and Daniel go head-to-head with a sinister religious cult on a mission and a band of Romany gypsies out for revenge in a wild and wonderful chase against the clock. 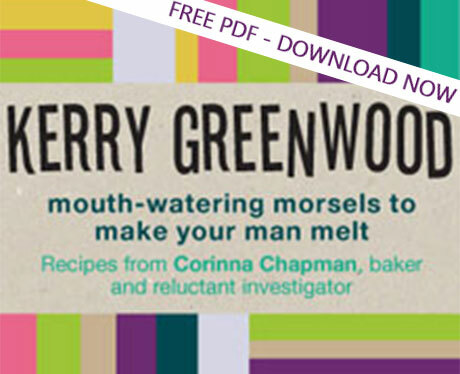 Corinna Chapman, talented baker and reluctant investigator, is trying very hard to do nothing at all on her holidays. Her gorgeous Daniel is only intermittently at her side (he's roaming the streets tracking down a multi-thousand dollar corporate theft). Jason, her baking offsider, has gone off to learn how to surf. And Kylie and Goss are fulfilling their lives' ambition auditioning for a soapie. It should be a time of quiet reflection for Corinna but quiet reflection doesn't seem to suit her - she's bored. Scenting a whiff of danger, Corinna accepts an offer from a caterer friend to do the baking for the film set of a new soap called 'Kiss the Bride'. The soapie in which Kylie and Goss have parts. Twists and turns and complications that could only happen to Corinna ensue involving, bizarrely, nursery rhymes and a tiger called Tabitha. While on the other side of town, a young woman is being unmercifully bullied by her corporate employers - employers who spend a lot of time cooking the books. When a distraught Scottish veteran from Afghanistan is knocked unconscious, waking up to find his beloved ex-service dog missing, Corinna and her lover, Daniel, find themselves inextricably drawn into the machinations of a notorious underworld gang of drug runners. Corinna Chapman, baker, reluctanct sleuth and proprietor of Earthly Delights bakery, knows a lot about 'little mouthfuls of pleasure'. From dinner ideas (Daniel's favourites) to boiled chocolate cake and cheat's biscuits, here is a small but entirely delicious selection of some of Corinna's recipes. Corinna Chapman was born in Nimbin, a hippie colony in New South Wales, Australia*. She is not exactly sure of the date, as neither is her mother (considering that measurement of time is a male construct) but knows that it was winter because her birthday celebrations were always conducted by dancing in the freezing mud. As she considers Geminis to be incurably light minded, she identifies with the sign of Cancer, the Crab. This means that she is provided with a hard shell but is gentle and sensitive underneath it. Not that many people find that out. Most retreat after the initial nipping. She was rescued from the mud when she was five by her grandmother, the formidable Mrs Edna Chapman, her father's mother. After lessons in table manners, washing, the wearing of shoes and combing of hair, she was sent to school, where she showed an early facility with numbers and a unquenchable desire for order and neatness. Mrs Chapman, an unyielding, strict woman who believed that hugging children was pandering to sentimentality, sent her to a strict girl's secondary school, where she learned all she knows about evasion, concealement, violence and lying. She went to university to become an accountant. Just as she was finishing her degree, Mrs Chapman died, and Corinna met her future husband, James Knott. He seemed at the time to be just what she wanted; reliable, solid, unbearably sophisticated. Corinna was honoured that he had chosen her. 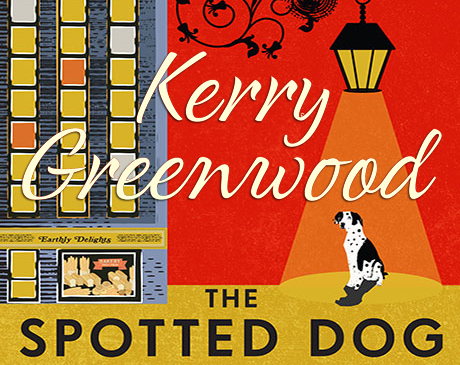 He discerned in Corinna the right amount of uncertainty which meant that he could mould her into the kind of wife he felt he deserved; one who would meet him at the door with a drink, wearing a blue gingham pinny and carrying his slippers. Corinna obliged and became just what he wanted, while carrying on her own career. This state of affairs lasted until she woke up one morning and realized that if she excised James from her life, she would not have to spend her lunch hour looking for the right kind of truffles for his omelette. She ripped off the apron and decamped from his life and has never regretted it. It is unwise to wear blue gingham in her presence. After leaving James she also left accounting. 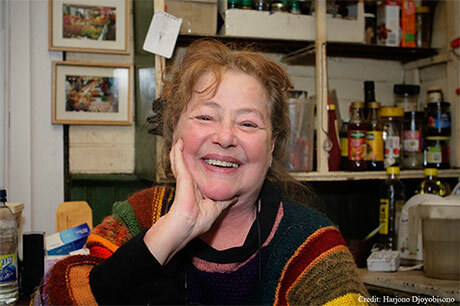 With her sourdough mother of bread, her settlement and Grandma Chapman's estate, she bought the shop Earthly Delights in an eccentric building in Melbourne and settled down to make bread. She defiantly cleared all her debts in the first year, living mostly on bread and cheese. 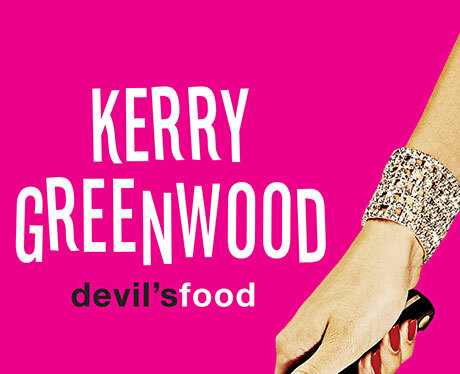 Kerry has written numerous novels, a number of plays, including The Troubadours with Stephen D'Arcy, is an award-winning children's writer and has edited and contributed to several anthologies. In 1996 she published a book of essays on female murderers called Things She Loves: Why women Kill. The Phryne Fisher series (pronounced Fry-knee, to rhyme with briny) began in 1989 with Cocaine Blues which was a great success. 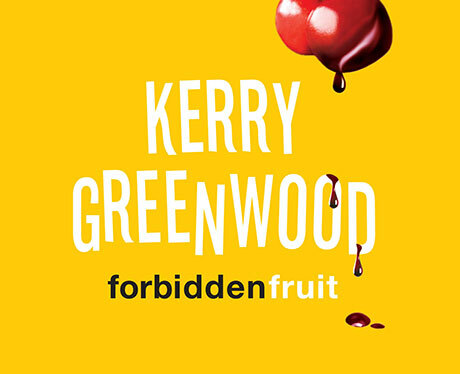 Kerry has written eighteen books in this series with no sign yet of Miss Fisher hanging up her pearl-handled pistol. 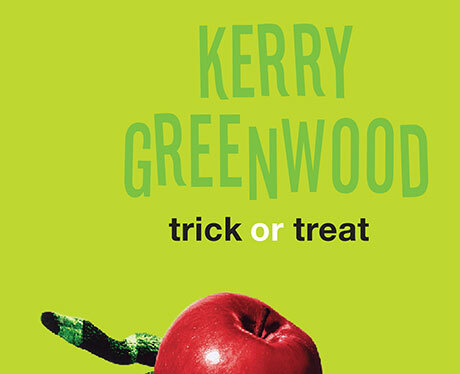 Kerry says that as long as people want to read them, she can keep writing them. In 2012, Phryne became a television star in a series screened on ABC TV.